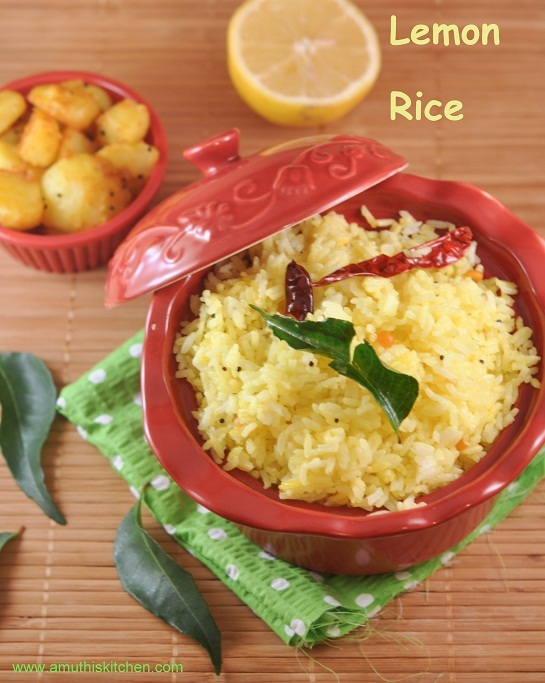 A very simple rice recipe that is usually prepared with left over rice. This is a very common lunch box recipe which is easy to prepare. Simple and delicious rice. Made this today for lunch..
Aww.. Lemon rice with potato curry. Who says No to this? Such a simple recipe yet so very tasty..looks very inviting..
love this rice a lot,tempting one! !